Seattle’s Slave to the Needle Tattoo Parlor Gets a New Roof! 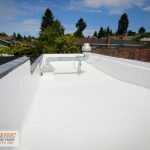 New Roofing System In Seattle, WA. 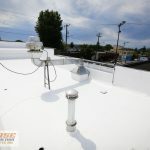 Chase Construction NW, Inc. had the opportunity to install a roofing system on a tattoo parlor in Ballard, Washington. 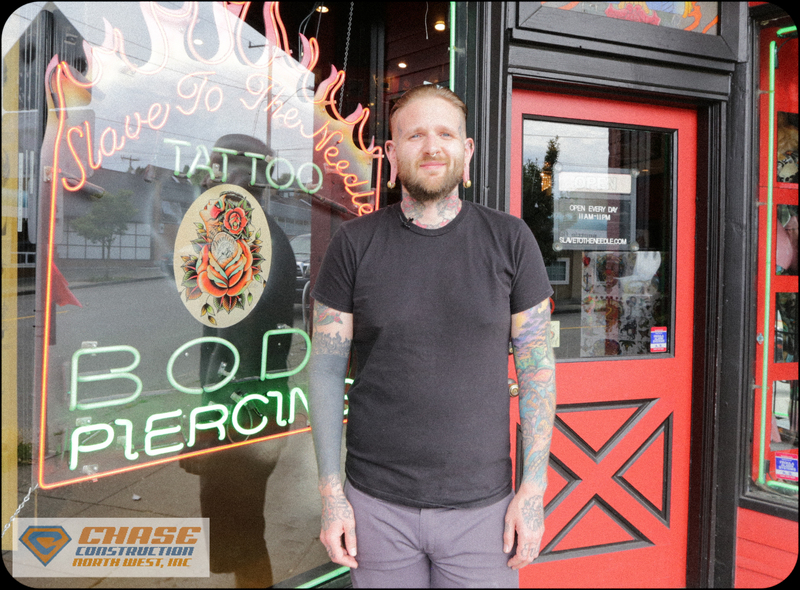 Slave to the Needle Tattoo has been servicing the Seattle community since 1995. “Slave to the Needle is an internationally known award winning tattoo and body piercing studio. 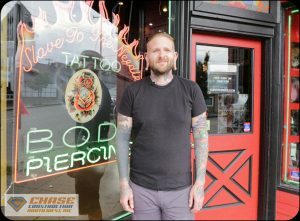 We’ve been voted ‘Best Tattoo & Piercing Studio’ by the Seattle Weekly readers poll for 8 consecutive years, winner of Best Tattoo & Piercing Studio for Seattle’s Citysearch.com for 4 years, and are a 4 time winner of the ‘Nicest Studio’ award at the National Tattoo Convention. Slave To The Needle had been experiencing several leaks due to an aging roof. Chase Construction installed a new GacoFlex® S20 Silicone Roofing Ssytem by Gaco Western. This system provides a proven, guaranteed solution for renewing your weathered roof. 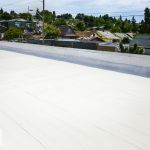 It can be applied to virtually any existing roofing surface to create a seamless membrane that protects against permanent ponding water, ultraviolet light and severe weather. 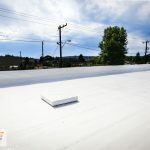 If you are in the Puget Sound region of Washington State and are in need of roofing services contact Chase Construction North West, Inc. today. We are Master™ certified contractor through GAF. 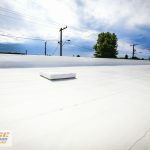 We have been providing our region with expert commercial and residential roofing services for over 13 years. We provide services in Seattle, Tacoma, Federal Way, Renton, Auburn and all of the surrounding cities. Fill out our free estimate form or call us today at 253-445-8950. 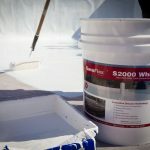 You can also visit GAF.com and look for GAF Factory Certified Roofing Contractors in your area. Next Gaco Western: Covering All of Your Waterproofing and Insulation needs!